I cast my first vote for Adlai Stevenson in 1956 and worked in his campaign, knocking on doors, stuffing envelopes, and typing names on index cards—the 1950s version of Big Data. You have to be old to have voted for Stevenson or even to remember him, but you might recall what your parents or grandparents had to say. They probably had strong opinions. Stevenson was a hero to a certain cohort, perhaps because he differed so dramatically in outlook and style from most politicians of that era—Dwight Eisenhower, Harry Truman, John Foster Dulles, Joseph McCarthy. To another cohort, though, he was a pinko liberal or even a Communist, as well as an egghead (I think the term was coined for him, a balding intellectual). J. Edgar Hoover, who should have known better, spread the word that Stevenson was gay, but that’s not likely. He was divorced when he ran for president—a problem on the campaign trail—but rarely without a female companion. Unlike so many successful politicians of his day and ours, he was not at all macho, and also not very tall (another campaign problem). Stevenson was an elegant, cosmopolitan man who used big words and tried to appeal to the best, not the worst, in his listeners. Notably, he stood up against the mindless anti-Communism of the times—the brutality and vulgarity of McCarthy, Hoover, and their ilk. He was an internationalist. He presented himself as a rueful, ambivalent figure who didn’t like the clamor of public life, but believed profoundly in public service. That’s the Adlai Stevenson I remember, a long-gone hero who died too soon—in 1965, at 65 years of age. sense of contraction, of closing horizons and lost opportunities . . . women “never had it so good” as you . . . This assignment for you, as wives and mothers, you can do in the living room with a baby in your lap or in the kitchen with a can opener in your hand . . . there is much you can do . . . in the humble role of housewife. I could wish you no better vocation. I know a lot about gender-talk in the 1950s: I was there. (Although come to think of it, we didn’t exactly have gender in the 1950s.) Stevenson’s words certainly fit the tenor of the times; in fact they fit it all too well. I was disappointed; I thought he should have done better than average. Hoping the quotes had been taken out of context, I went online and found a longer excerpt from the address, reprinted by The Women’s Home Companion later that year. It was no better; in fact, it was worse, because there was more of the same. 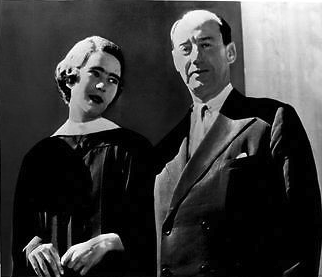 Adlai Stevenson at the Smith College Class of 1955 graduation, with his future daughter-in-law, Nancy Anderson. I want merely to tell you young ladies that I think there is much you can do about that crisis in the humble role of housewife—which, statistically, is what most of you are going to be whether you like the idea or not just now—and you’ll like it! From where we are in the twenty-first century, that’s a breathtaking beginning. It gets worse. power is virtually beyond measurement. For it is to you . . . that American government must look for the sources of its power. . For if . . . those young Americans who have the advantage of education, perspective, and self-discipline do not participate to the fullest extent of their ability, America will stumble, and if America stumbles the world falls. A old, good friend of mine was a member of that class at Princeton, and he recalls the occasion very well. He and his classmates were inspired, he remembers, to public life, to community service, to an exhilarating sense of their own destiny and opportunity. Stevenson’s speech figures prominently in both the 25th and 50th Reunion Books of the Class of 1954; it stands out in their memories of their college years. No wonder: Stevenson spoke to them like sons or younger brothers, comrades in the crucial work of educated citizenship and democratic leadership. something clutching in my stomach as I listened to his talk. . . . Everything that we had been taught at Smith was contrary to this message and while I do not recall any public condemnation of his message, there was certainly a lot of underground grumbling. The apparent indifference of the class of ’55 may not be a big surprise, given the times, but I do wonder about the reaction of the faculty—few of whom are still available for interviews, alas. (I was able to reach only two, and they did not remember the speech or the event.) Most of those in their hard-won academic regalia, seated on the platform behind the speaker, probably admired and voted for Adlai Stevenson. Many were women educated in the 1920s and ’30s, when they had to fight for places in doctoral programs and science labs. For many, the necessary dedication and commitment had precluded marriage and family. The distinguished Renaissance historian who taught the honors seminar when I was at Smith used to express dismay over our approach to our work and future goals. She deplored our rush to Yale or Dartmouth on the weekends and reminded us that in her day, serious students saw weekends as an opportunity to get ahead with their work. With the callous confidence of youth, we laughed at her concern, which seemed ludicrous, old-fashioned, and somewhat pathetic. I can’t imagine what she thought about Stevenson’s speech. How I wish could ask her! Long after my own undergraduate years, I began a belated career as a professor and historian. I revised my syllabi for medieval and early modern European history courses according to feminist precepts, pushing aside the Great Men, as far as possible, to include the history of persons who were not necessarily Great, and to focus on women. Even in the late seventies I was aware of some loss: as I discarded and criticized some of my ex-heroes, I occasionally recalled the melancholy, beautiful speech of lament spoken by Shakespeare’s unfortunate Richard II: “For God’s sake, let us sit upon the ground and tell sad stories of the death of kings.” I felt that way again when I read Stevenson’s Smith speech. No matter how carefully I think about the context or blame it on the times, I cannot quite recover the hero of the 1956 campaign. I’d love to know what you think. Reply to leave a comment below. Having linked to this great piece on my blog, I got what I think of as some predictable pushback: Stevenson was born in 1900; his was a common view at the time; get off his case; etc. While I don’t think the piece represents any kind of attack on Stevenson–it mainly just reminds us, chillingly, of how bad things really were–I too wondered, when I first read it, how widespread the sexism was among progressives. My thoughts ran more this way: “Oh, man, I bet kooky old Henry Wallace was a sexist pig too.” But not so. I don’t mean I know whether Wallace was personally sexist; I mean the Progressive Party platform of 1948, to which I think Stevenson was meant to represent the sane liberal alternative, had a radically robust women\’s rights plank. What a great piece. What impressed me the most was the way you captured us then and us now! I hardly knew what feminism was in the 1950’s, but now like you I wish that Stevenson had shown me what it was. The man who opposed testing hydrogen bombs in the atmosphere might have moved us. But I think his personal situation, along with his innate caution, made this impossible. I’m especially happy that you’ve called attention to Stevenson’s commencement address at Smith in 1955. I was class of 1958 and attended graduation as an usher or flower girl or whatever position sophomores were supposed to hold at the event. The speech made a big impression on me. I was unsettled by it at the time, but could not quite articulate why. What impressed me favorably about the speech was – as always – Stevenson’s humanity. What we women were supposed to do while being housewives, as I remember the speech, was to keep our husbands whole and humane, to counter the pressures of the soulless world in which they worked and in which we all lived. That message blurred for me the subsidiary role we women were assigned. I knew at the time that I wanted to somehow have a career as well as be a “housewife,” so that too must have blurred his message. In any case, as I was walking back across campus after the ceremony, I encountered Miss Bacon – one of that older generation of spinster academics. “Well, Dorothy,” she asked emphatically, “what did you think of that speech?” I could only answer lamely that I thought it was “interesting,” at which point she looked at me with great disdain and marched away. Over the years I have told many friends and colleagues about that experience, both as evidence of gender attitudes in the 50s and as evidence of the importance of the women’s movement in giving us the vocabulary to clarify and articulate our rejection of those attitudes.